Ciaran is our lead physiotherapist and founder of Galway Bay Physio, who qualified as a chartered physiotherapist following completion of a Masters in Physiotherapy in Robert Gordon Physiotherapy of Aberdeen. Prior to this he completed a four year Bachelor of Science Degree in Human Anatomy at NUI Galway. Since qualifying he has obtained a wealth of experience from working in a number of private practices and medical centres in the UK and Ireland. Ciaran strives to deliver high quality individually tailored treatment programmes and rehabilitation, and also ensures that patients understand exactly what their specific problems are and most importantly how to cure them. A keen rugby man Ciaran has worked extensively with leading athletes and sports participants having been involved with Benfleet Running Club in England, Connacht Rugby, OLBC RFC, Athenry Soccer Club as well as other GAA and rugby clubs in England, Dublin and Galway. He can be seen in the colours of OLBC RFC these days who ply their trade in the Sportsground Galway, home of Connacht Rugby. Maria is a native of Longford and qualified with a BSc (Hons) in Physiotherapy at University of Brighton. She also holds a degree in Health Sciences and Physiology from Sligo IT. 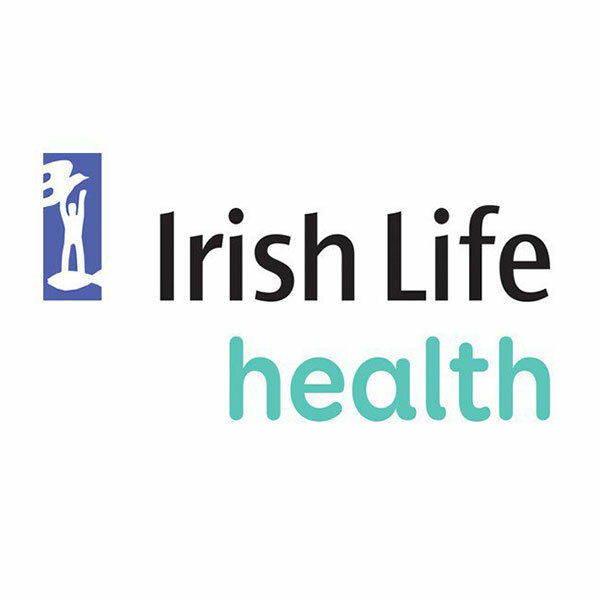 Maria has worked in a busy private practice in Longford where she has had a case load of patients including those with musculoskeletal, neurological, orthopaedic and sports related problems. An avid sports woman she has a keen interest and passion in injury prevention and rehabilitation through functional movement. Currently head physiotherapist with her local GAA team, St. Marys in Granard, she is also team physiotherapist with the Leitrim Senior and U-21 footballers. Maria Enjoys the challenges of all physiotherapy related issues and frequently attends post graduate courses and conferences, thus allowing her to work with a solid background in current evidence based practice. Most recently she has completed Dry Needling and Pliates courses. Maria strives to provide an individualised patient centred holistic approach with a keen emphasis on treating the condition, however also sourcing the problem and ensuring a prevention of its re-occurrence. Barbara is a highly qualified Chartered Physiotherapist that specialises in the rehabilitation of musculoskeletal, orthopaedic, sports and foot injuries through the use of techniques such as manual therapy, therapeutic and functional exercise, acupuncture and orthotic/insole prescription where appropriate. Barbara qualified as a physiotherapist from Royal College of Surgeons in 2005 and subsequently completed a Masters degree in Clinical Physiotherapy (2011) from Curtin University, Perth, Australia, where she graduated with a first class honours. Prior to this Barbara obtained an honours degree in Sports Rehabilitation from St. Mary’s University, London in 2000. She also has additional qualifications in western acupuncture and orthotic prescription. Barbara has extensive experience working in large private practices in both Ireland and Australia over the last 13 years. She has also a keen interest in sports having played international basketball at underage level, and has worked as a physiotherapist for Connacht Rugby and many other high level athletes including Galway Senior Hurling and Camogie players. Since completing her masters, Barbara has developed a particular interest and expertise in the management of complex musculoskeletal and persistent spine disorders and in 2014 founded ‘neckcare.ie’ a specialist service that provides comprehensive treatment for chronic neck pain, headaches (including migraines) and whiplash associated disorder. In summary Barbara is dedicated to providing the highest standard of care. She will go that extra step to ensure that you fully understand the cause of your problem and will provide treatment that targets your individual functional needs. Danielle graduated with a BSc Honours in Physiotherapy from Manchester Metropolitan University in 2008. After travelling and working in Australia she returned to her native Donegal where she worked as a Physiotherapist with Finn Harps Football Club. Following on from this, Danielle practiced for several years in the NHS in Northern Ireland as a hospital based Physiotherapist. Her work focused on musculoskeletal conditions, post-surgical orthopaedic rehabilitation and womens health. For the past three years Danielle has been working as a senior Physiotherapist for the New Zealand Health Service in Christchurch. In this role Danielle specialised in Spinal Cord Injury in the National Rehabilitation Centre working with the most up to date research based techniques and specialist equipment available for neurological rehabilitation. Danielle's most recent post was in pain management which involved treating various complex chronic pain conditions as part of a multidisciplinary team. Theresa qualified with a BSc Hons degree in Physiotherapy from RCSI in 2013. Since qualifying she has gained a wide variety of skills and knowledge from working in both private and public settings both in Ireland and abroad. Theresa spent over three years in New Zealand working in Private Practice. Here she qualified as a Pilates Instructor, completed her Dry Needling course and completed a course in Orthopaedic Manual Therapy as well as gaining a wealth of knowledge regarding treating people with acute and chronic musculoskeletal injuries. During this time she also worked with a number of clients under the New Zealand Chronic pain management programme completing Gym or Hydrotherapy based programmes. Before moving to Australia Theresa also completed her Yoga teacher training. She then spent time working in Australia with Queensland Health seeing a busy caseload of pre and post operative and musculoskeletal conditions. Theresa has a keen interest in Musculoskeletal Physiotherapy, biomechanics and getting each individual to reach their full ability. Using a combination of manual therapy, dry needling and exercise prescription she enjoys helping people to prevent, manage and rehabilitate a range of injuries.